Personalized medicine, sometimes called genomic medicine, is a new approach to medical treatment that uses a person’s family history, medical history, and genes to manage their health. Some of the most exciting advances in personalized medicine are in the field of pharmacogenomics. Pharmacogenomics has the potential to improve the lives of patients with a variety of different diseases. The current use of pharmacogenomics by doctors and pharmacists is quite limited. Cancer treatment was the first area of medicine to use pharmacogenomics: it is now common when treating certain cancers to test the tumor tissue for its genetic “signature.” With this information, doctors can then prescribe the most effective treatment based on the tumor’s specific genetic makeup. This approach has been used successfully in leukemia treatment, breast cancer treatment, and colon cancer treatment. Non-genetic factors can also affect how a person responds to medication. These factors can include interactions between different drugs a person is taking, interactions between drugs and a person’s other medical conditions (like high blood pressure), and interactions between drugs and lifestyle factors like diet or alcohol consumption. A person’s gender, age, weight, and ethnicity can also have an impact on how a medication works and what dosage is the most effective. Pharmacogenomic testing from the Center for Medical Genetics can help you find out what works best for you. 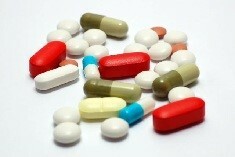 Certain foods and supplements can also interact with medication in a negative way. Individuals taking the blood thinning drug warfarin (known as Coumadin®) should be consistent in the amount of vitamin K they get from foods. It is important that those who take warfarin avoid eating very large amounts of foods high in vitamin K, such as liver, broccoli, and spinach. 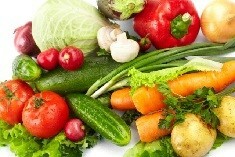 Vitamin K interacts with warfarin, reducing its effectiveness. If you’re ready to investigate the world of genomic medicine, contact the Center for Medical Genetics today!